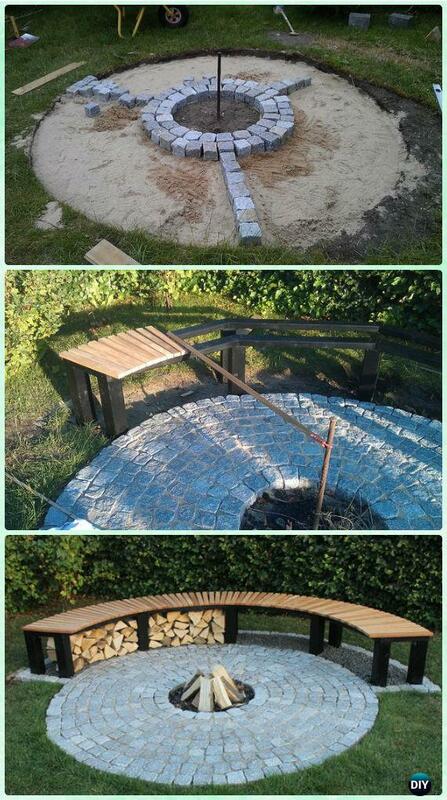 A collection of DIY Garden Firepit Patio Projects [Free Plans] for big open backyard. Our Garden Channel is going to share this cozy list to build your own firepits into landscaping for entertainment all year long. Fire pits have been an essential modern addition to estate, making outdoor space intimate and inviting. They provide light and warmth for cool nights, fun for the kids, and a perfect ambiance for parties among family and friends. 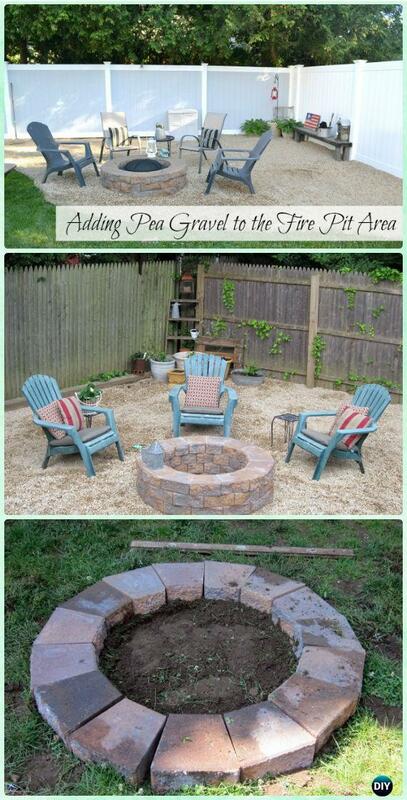 If you have big yard and want to add the cozy spot for coming season, the firepit patio we collect here will be a good start for you to start this weekend, scroll down and see which one fits your budget and efforts and build your own DIY fire pit for a even cozier home. 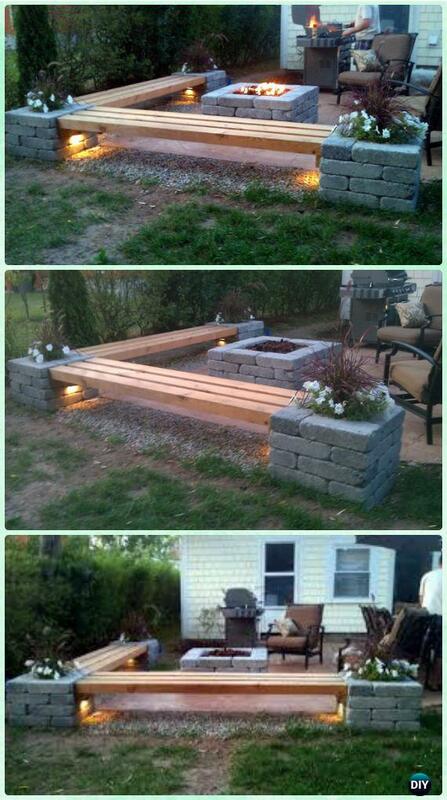 Make a cobble patio with central firepit and a customized surrounding bench for seating and fire wood storage. Customize your own propane fire pit, with corner benches out of 2*4 timber and block pillars with planters, get service from landscaping pro or make your own if you are a pro on your own. Open the corner ground of backyard and set up a patio with pea gravels, light up the landscaping and add a warm family spot for Summer.